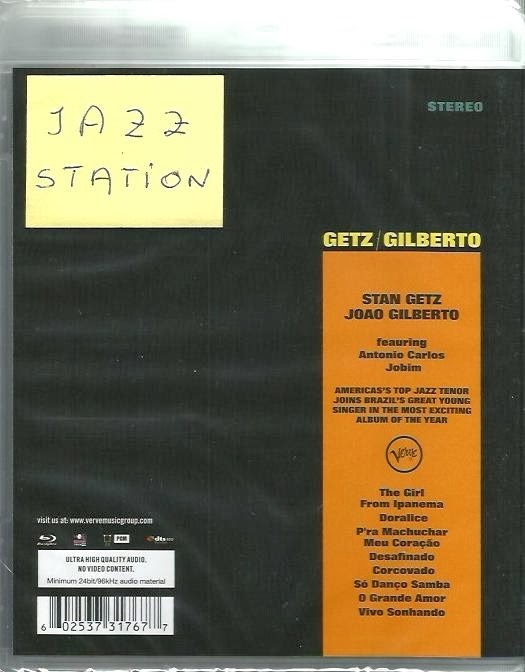 Jazz Station - Arnaldo DeSouteiro's Blog (Jazz, Bossa & Beyond): Blu-ray Audio of the Month - "Getz/Gilberto"
The ground-breaking bossa nova masterpiece (recorded in 1963 under the production of Creed Taylor, released by Verve in 1964) that won 5 Grammy Awards in 1965, including "Album of the Year" and "Record of the Year" for the classic standard "The Girl from Ipanema.". The album features Stan Getz on tenor sax, João Gilberto on guitar & vocals, Antonio Carlos Jobim on piano, Sebastião Neto on bass, Milton Banana on drums, and Astrud Gilberto (English vocals on 2 tracks). Includes the original liner notes (written by Gene Lees, Stan Getz and Joao Gilberto) and a new essay by jazz historian Doug Ramsey. 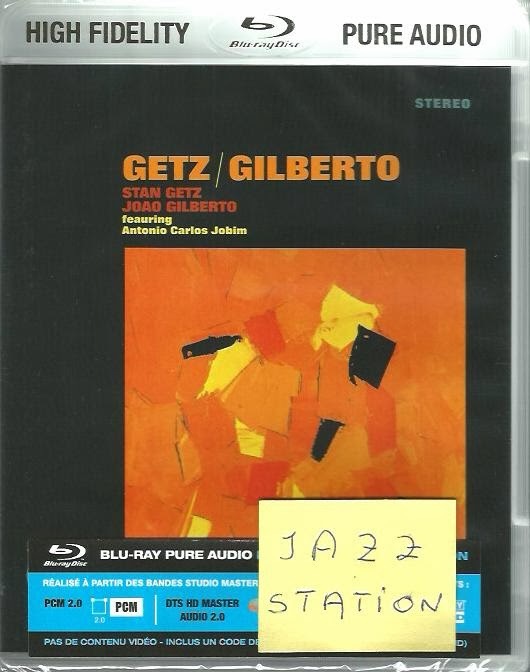 This High Fidelity Pure Audio release combines the vast storage space and bandwidth of a Blu-ray disc with original high quality recorded material, from the original master tapes, to create a uniquely luxurious listening experience.